A synergistic complex of pure, potent, 100% nature derived Vitamin A, Pro Vitamin A and Retinoid Analogue that combats the appearance of wrinkles, imperfections and age spots leaving the complexion visibly younger, smoother and brighter without the irritating effects of synthetic Retinol. Rosa Rubiginosa Seed Oil, Glycine Soja (Soybean) Oil, Gossypium Harbaceum (Cotton) Seed Oil, Bidens Pilosa Extract, Bakuchiol, Hippophae Rhamnoides Fruit Extract, Parfum (Fragrance), Linum Usitatissimum (Linseed) Seed Oil, Tocopherol, Linalool. 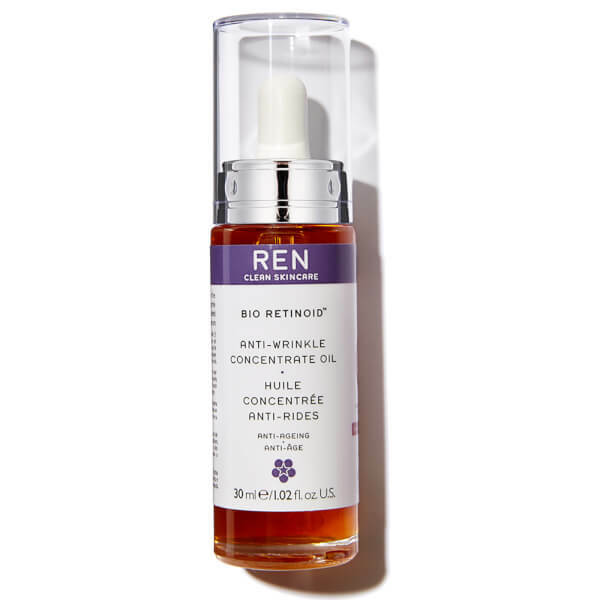 This is my second bottle of Ren products. I love the fruity smell of this oil. As the texture is indeed oil, I really need only a few drops and I can see that this bottle will last a long way. So far, so good. But I’ve been using this for only more than a week so it’s a little too early to notice any anti-aging effect. It’s already a good news that it doesn’t break me out just yet as I have combination skin. Inmake sure to still use sunscreen during the daytime even when it’s winter now since there’s retinoid in this bottle and your skin can be sensitive to UV ray.